Long, sunny days and milder nights have arrived in Philadelphia. Summertime is finally here! Themed summer parties are a great way to celebrate the season with friends and family. Try one of these fun ideas for your next get-together! In Philadelphia, it’s summertime and the livin’ is easy. 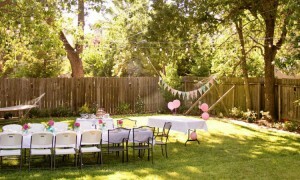 Celebrate this happy, relaxed season with some fun summer parties! Go beyond the traditional summer barbecue — here are some theme party ideas that are easy to throw together. Best of all, your guests are sure to love them! Who says summer parties have to be rowdy? Don your favorite fancy hat and throw an elegant tea party! Whether it’s in your cool, air-conditioned dining room or outside on your terrace, an afternoon tea party is fun for all ages. It’s a great excuse to dust off your teapot and brew some proper English tea, like Earl Grey or English Breakfast. Serve your tea alongside finger sandwiches (this collection of easy recipes will satisfy everyone) and scrumptious scones. This type of party is perfect for nighttime! Buy some tiki torches to decorate your yard or deck, and purchase flower leis to give each guest as they arrive. Serve tropical drinks, grill up some pineapple as an appetizer, and cook Hawaiian-inspired recipes like coconut lime shrimp skewers and glazed pork and pineapple buns. If your guests feel adventurous, challenge them to a Hawaiian Hula dance-off! 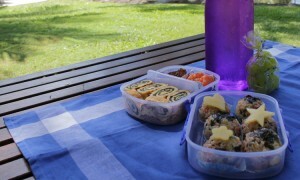 Picnics are a delicious way to get together with family and friends! You could have a potluck picnic, where each guest brings a dish to share, or provide your own food for your guests. Consider making sandwiches the main dish, plus side dishes like potato and macaroni salad, a platter of cut-up vegetables, and fresh fruit salad. Don’t forget the dessert! Everyone loves a delicious summer treat, like lemonade pie or fresh peach pie. Enjoy your picnic on blankets on your yard or on a picnic table on the patio. Help your guests grow something beautiful! Host a planting party in your backyard. Provide small starter plants, plain pots, and potting soil. Have your guests decorate their pots with colorful paints; once the paint is dry, they can plant their plants in the pots! Not sure what types of plants to provide? Herbs like mint and basil are easy to plant, and they’re gifts that keep on giving — your guests can take them home and harvest them to enjoy with their meals. Basil is a wonderful addition to any Italian meal like pasta or pizza, and iced tea tastes even better with a few sprigs of fresh mint! What summer parties are you most looking forward to? Leave your answer in the comments below! Think Philly sounds like a fun place to live? Check out these great Philadelphia homes currently on the market!